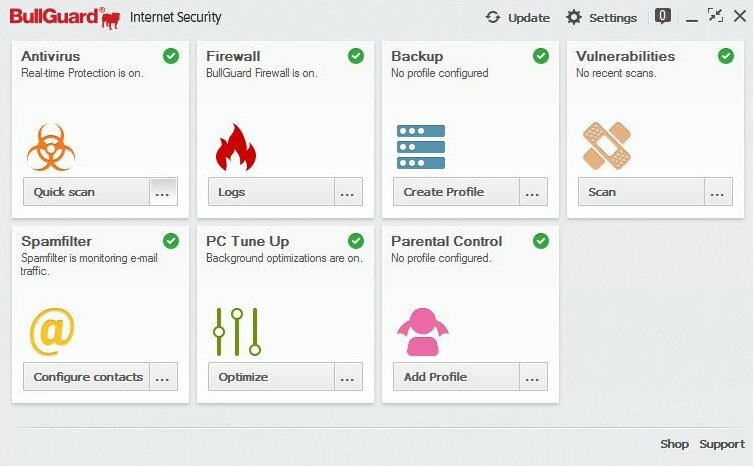 BullGuard Internet Security 17 - download in one click. Virus free. Download the latest version of BullGuard Internet Security 17 with just one click, without registration. It comes with a safe official web installer for Windows. 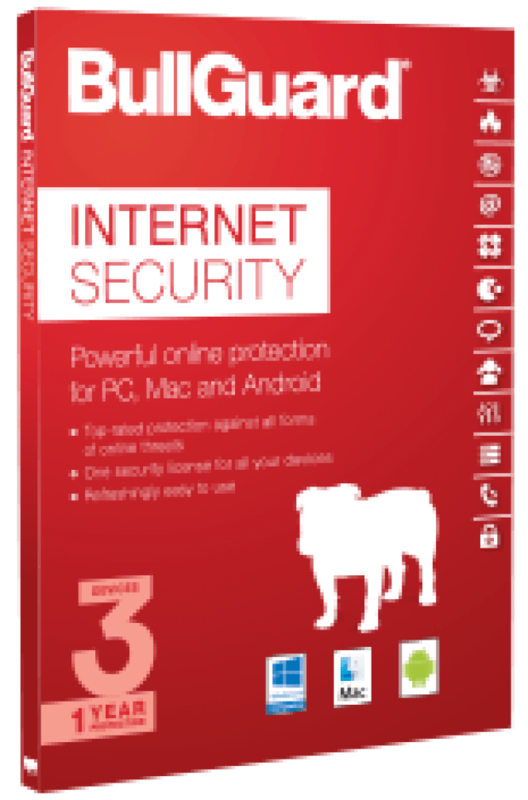 BullGuard Internet Security 17 is a reliable antivirus with free tech support and easy-to-use interface. It includes not only tools to make your browsing safe but features to enhance your PC performance, too. Also, even the free antivirus edition supports and protects all kind of mobile devices. It works for Mac, too, but in this case, has a limited functionality. The trial is available for sixty days, after that, you'll need a license, which is valid for three devices during one year. BullGuard offers its users total protection from all kinds of online threats. Viruses, trojans, adware, and malware won't be a problem for you anymore. Of course, the antivirus will protect you from ransomware and scareware, too. The program has additional features meant to protect you and your family. It includes parental control, so you can block some Web routes and websites from your children, put search filters and online time limits. Then, there is vulnerability scanner to inform you about possible holes in security. Is a used connection secure or not? Did you install all important updates? Are your drivers digitally signed? Users often forget to check those little things, so BullGuard will do it for you. Finally, the antivirus has a spam filter solution for your mail, so you don't fiddle with every spam letter you may get. It blocks all phishing attempts and suspicious emails, and you can customize the settings to make it even stricter and block all emails you don't want to see in your inbox. Overall, BullGuard Internet Security 17 is an all-round solution for PC and mobile device security, so much needed nowadays. In addition to mentioned features it has a tool for encrypted cloud backup and powerful firewall, so give it a try!